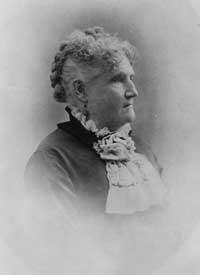 Wyoming can claim many firsts for women: the right to vote, the first woman governor, and the first woman judge in American history, Esther Hobart Morris. At the time of her appointment as Justice of the Peace, Morris was 59 years old. Although widely celebrated as a hero of the early suffragist movement, she spent the first 55 years of her life living quietly in New York state and Illinois. Esther Hobart was born August 6, 1814 in Tioga County, New York. Orphaned as a young girl, she served as an apprentice to a seamstress and ran a millinery business out of her grandparents’ home. She was a successful businesswoman by her early 20s. As a young woman, Esther spoke out against slavery, and supported women’s right to organize societies that would abolish slavery. Margaret Brent ranks among the most prominent women figures in early colonial history. Hailed as an early feminist who advanced the legal rights of women, Brent was the first woman in the American colonies to appear before a court of the Common Law to claim land in her own right or to pursue her own interests in court. She was also a significant founding settler in the early histories of the colonies of Maryland and Virginia. Margaret Brent was born around 1601 in Gloucestershire, England, into a wealthy Catholic family, one of thirteen children. She was an early American feminist, a major colonial landowner and executor for the governor of Maryland at a time of crisis in the Colony’s affairs.